Law & Society by Chester Cabalza: Gilas Pilipinas – Pride of the Philippines! 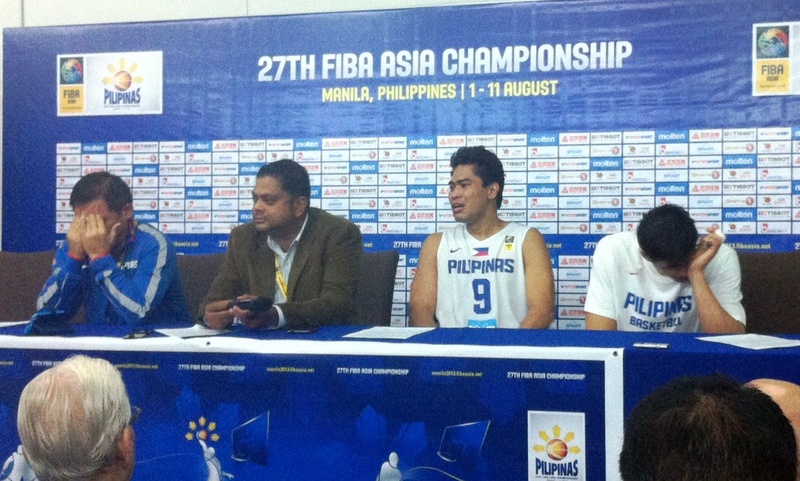 Gilas Pilipinas – Pride of the Philippines! We are a country united by basketball and we should be reminded that basketball remains to be our favorite national past-time. The recent win of Gilas Pilipinas over swelling powerhouse South Korea in the semifinal round of the Federation of International Basketball Association (FIBA) Asia Championship held at the Mall of Asia’s Arena in Manila proves our long-lost desire to bring back the golden years of Philippine National Basketball Team when it was touted before as Asia’s best and one of the world’s most admired basketball teams. This fervor triumph is our assured passport to the 2014 FIBA Basketball World Cup to be held in Spain. Without doubt, this year's batch of Gilas cagers etched history as they unleashed the Korean curse that usually impede our bid to our basketball world cup dream. The surprising yet formidable teamwork and unfaltering heart of the country’s basketball men’s squad in an intense game against a giant squad from South Korea took a center stage with lively support of Filipino hoop enthusiasts that elevated worthy senior cagers to idol status led by captain ball Jimmy Alapag as he awed revelers with his pair of triples. Ranidel de Ocampo executed estimable defense despite asset San Miguel naturalized star Marcus Douthit’s exit in the court because of an injury. But Danica Sotto’s hubby Marc Pingris raised the roof and pegged dramatic chants in the arena as nationalistic shout outs posted across the social media after the best game so far by team Philippines in FIBA. In the post-game press conference, Pingris even recounted that they (Gilas Pilipinas cagers) were ready to give up their lives for the country. Indeed, that’s so patriotic! National coach Chot Reyes must also be given due recognition in his effort to win the team in the die or never game plan. The electrifying sea wave of basketball devotees truly inspired our best players in our home court. The Philippines versus South Korea hardcourt duel ended as a classic match between David and Goliath. Medium yet talented Filipino basketball players capitalized on their big fighting heart during one of the hardest showdown to proudly raise the Philippine flag as frontliners and heroes inside the arena before avid Pinoy basketball supporters and to all thrilled watchers glued in televisions and the net. The sweet victory over South Korea last night unearthed sports analysts throw back tantrums of all the bitter defeats in the past with our Korean cager friends since 1986. In Francis Ochoa’s article, he wrote that in 1998, Coach Tim Cone’s Centennial Team lost a classification game to the Koreans in the Bangkok Asian Games. In 2002 Busan Asian Games under Coach Jong Uichico, Filipino basketball superstars denied of winning a medal due to tearjerker semifinal loss to South Korea. And in 2011 FIBA Asian Championship, Gilas Pilipinas, under Coach Rajko Toroman, lost a heartbreaker of a game in the battle for third. The Smart Gilas or Gilas Pilipinas national basketball team is composed of the original team members of the 2012 William Jones Cup coming from the pool of best players of the Philippine Basketball Association (PBA) stars and rookies. Gilas in Tagalog-based Filipino language means elegance. Perhaps, the skills and talent of Gilas cagers exuded in their exceptional games in this year's FIBA season is their most elegant yet. The team is heavily supported by business maverick Manny V Pangilinan (MVP) who owns the Smart communications. 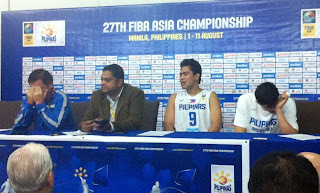 This is a reason behind the brand Smart attached in the Smart Gilas Pilipinas team. The Gilas has been rigorously trained under European style of play. The young team has been representing the Philippines in various international basketball tournaments like the Asian Basketball Association (ABA), R. Williams Jones Cup, FIBA Asia Championship, and the Asian Games. But the main objective in founding the team leads to the aspiration of our country to join the league of the world’s best basketball teams and win a medal in the Olympics. We Filipinos have a soft heart for sports. We bet, we revel, we cry, and we idolize our sports icons and we love the best games they strongly play. Sports is the unifying element in our complex Filipino society since it bridges any political and social divide. We have seen the rise of Filipino Hercules Manny Pacquiao as the pound-for-pound king in the firmament of the boxing ring. The Azkals – Philippines national football team continues to bring laurels for the country and became household name after their teeth-clenching victory over soccer powerhouse Vietnam in the 2010 Suzuki Cup, known as one of the tournament’s biggest upsets ever. The Volcanoes – represents the Philippines in the international rugby union and also makes a name in the realm of Philippine sports. Although, some doubts if basketball should remain as the country’s national past-time, primarily due to our cagers’ short and medium heights against gargantuan players of other teams during international tournaments. But we cannot deny that Filipino talents inside the court are extraordinary regardless of height. Basketball has also been used for soft power diplomacy in the tug-of-war in the West Philippine Sea. Yao Ming, China’s former popular star in the National Basketball Association (NBA) and owner of Shanghai Shark basketball team recently came to the country for a friendly visit. This is partly to soften China’s hard power image; although, some Filipino media people received cold meeting with the Chinese basketball superstar. NBA superstar LeBron James lately descended to the basketball crazy Philippines with warm reception briefed by his Filipino-American coach Eric Spoelstra, notwithstanding, that Americans brought this kind of sports in the country. Reports are spreading like wild fire that Kobe Bryant will soon visit Manila. In light of the 2013 FIBA Asian Championship in Manila, South Korean basketball icon Shin Dong-pa visited the city to cheer Korean squad in last night’s semis. Shin is regarded as one of the best Asian players in his prime back in 1960s and 1970s who was part of the Korean team that lost to the Philippine squad led by basketball legend Robert Jaworski that went on to compete in the 1974 World Basketball Championship. Tonight is the big night for the Philippine basketball as we battle against the gargantuan Iranian ballers for the FIBA 2013 Finals. Media Ninja - are you one of them?